It’s a relief that the lower back design of this bar stool in no way detracts from its fabulous TuVee style. Still leaving room, as it does, for the exposed hem detailing and unique ‘V’ shaped stitch motif. In fact, we think the height of this one – with the seat standing at an impressive 78cm – only serves to grab the attention of passers-by all the more. 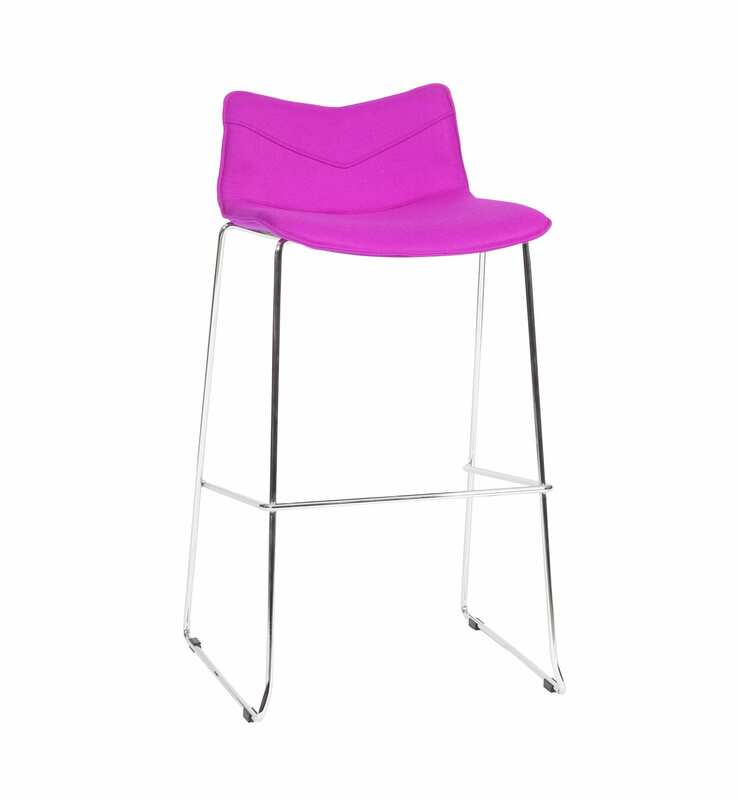 Perfect when you’re looking to create a stand out commercial interior, TV16 is a stylish skid chrome frame bar stool that perfectly mixes and matches with the waiting chairs and work chairs in the rest of the TuVee range to create a bold, creative office space that’s sure to inspire. 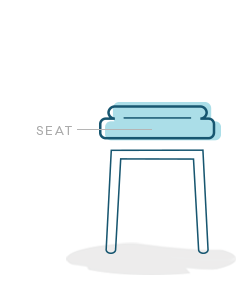 And with its robust polypropylene shell and a wide skid base with anti-slip features for added stability, as well as a slimline foot rest and pillow-style upholstered cover for comfort, TV16 passes the practicality test as well as the comfort one. Choose from our most popular colours of fabric below or browse our wide selection to customise your new TuVee skid chrome frame bar stool. Match with the skid chrome frame style of TV12 or mix with stylish pyramid-based work chair TV18 to perfectly carry TuVee style throughout your office.